In 1962, Messina moved over to BBC television as a drama director, directing a number of episodes of the series Dr Finlay’s Casebook that year and the next. At the end of 1963 he also directed a 90 minute adaptation of Friedrich Düerrenmatt’s The Physicists, under producer Peter Luke, which better reflected his main interest in drama sourced from the stage. There was room for writers to experiment with the scope of television drama in Theatre 625, for example with Keith Dewhurst’s large-scale The Siege of Manchester, which Messina called “a revolution in the way of writing historical plays.”6 Although produced by his successor, Messina commissioned John Hopkins’s Talking to a Stranger, which explored the same themes and events from four different perspectives over a quartet of plays. It was a critical and popular success and came to be recognised as one of the decade’s greatest accomplishments in original television writing. The series opened with Captain Carvallo, which left the critic of The Stage and Television Today highly impressed. He concluded: “this production proves that stage plays can be brought from the stage to television without losing anything.”8 As ever when considering the work of a producer, we must bear in mind that the director (in this case Charles Jarrott) is at least equally responsible for a production’s artistic quality. Messina produced Thursday Theatre’s first thirteen plays, which ran from October to the last day of 1964, before handing the reigns over to Bernard Hepton. Although new writing continued to feature, adaptations of novels and, in particular, stage plays came to dominate Theatre 625 as it went along, with plays grouped by theme phased out. We can only speculate on the reason for these changes; perhaps after his Thursday Theatre work came to an end Messina felt the need for a new outlet for the production of the established stage plays that he so loved. The series drew from the European and American stage predominantly, with work by all the major dramatists: Terence Rattigan, Henrik Ibsen, Anton Chekhov, Arthur Miller, Bertolt Brecht, Sophocles and many others. Inevitably, the British tradition was most commonly represented, with the works of William Shakespeare, George Bernard Shaw and Oscar Wilde being regularly seen. Adaptations of novels also occasionally featured, usually those of the British literary canon, such as works by CP Snow, W Somerset Maugham, EM Forster, Daniel Defoe and Virginia Woolf. Messina’s Play of the Month productions came to be recognised for their lavish production quality and star-studded casts, as befitted a series defined by its infrequence. The season commenced in November 1966 with The Mines of Sulphur and ran intermittently for a year. It included a mix of established works, such as Faust and PI Tchaikovsky’s Eugene Onegin, and new commissions for television, such as Some Place of Darkness, which had a libretto by John Hopkins. Messina reported that his selection of operas for television was governed by “a kind of instinct that tells you whether or not something will work on the screen.”20 Benjamin Britten’s Billy Budd, directed by Basil Coleman, was particularly successful, with The Times noting that it “must have made many converts to opera on television”, and was entered into the Hors Concours category at 1967’s Prague International Television festival. Messina continued to produce occasional operas and musical plays over the following years. Messina’s ongoing work on Play of the Month was supplemented with the series Solo in 1970 and Stage 2 in the next two years, both for BBC2. 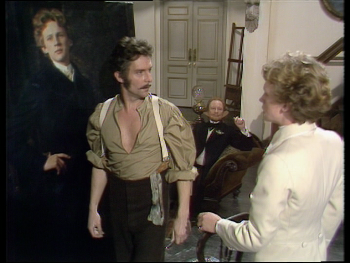 Solo was a series of short one-person shows in which a leading actor of the time played a famous writer or artist, such as Margaret Tyzack as Mrs Beeton and Michael Jayston as Wilfred Owen. Stage 2 was another anthology of theatre plays translated to television and its productions seem indistinguishable from those of Play of the Month (any many were later repeated in Play of the Month, confirming their interchangability).21 A particular Stage 2 success was The Duchess of Malfi, which was unusual in being recorded entirely on location by director James MacTaggart, and was nominated for an International Emmy award. 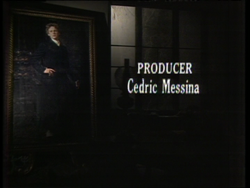 Although it was without public reference to such criticism, Messina was replaced by Jonathan Miller as producer of the series in 1980. Messina’s production of Much Ado About Nothing was scrapped for reasons which remain murky, with a new version later made by Shaun Sutton, who had been the BBC’s head of drama during the project’s early years and later succeeded Miller as its producer. This production aside, Messina had been responsible for the first twelve instalments of the series and was present with Sutton to receive the Royal Television Society’s Judges Award for the series upon its conclusion in 1985.27 The series has proved one of the BBC’s greatest exports, with sales to around fifty countries. Messina returned to producing (and occasionally directing) plays for BBC drama strands including Playhouse and Theatre Night, but by this point the single play and, in particular, the play drawn from the stage, were in decline on British television. In 1979 Messina had produced Ian Curteis’s epic documentary drama Suez 1956 and was set to produced the author’s similar The Falklands Play in 1986 until it was cancelled in contentious circumstances, becoming a media cause célèbre. Thereafter although retired from the BBC, Messina continued to work, often in America, and was active in his support for the rebuilding of Shakespeare’s Globe Theatre in London. He didn’t live to see the completed recreation, passing away on 30 April 1993. Messina left behind a vast body of high quality television drama and opera, including new works for the medium and definitive recorded productions of many of the world’s greatest plays. Our list of Messina credits including his opera work: here. As ever, we welcome additions and corrections. 27 September 2013: added Thomas quotation and modified Sutton sentence. Plays for one strand were commonly rescheduled into other strands, despite those strands’ apparently differing remits. To use Messina as our example, his run as producer of Play of the Month is seemingly broken for the January 1968 instalment, The Parachute, which was produced by Tony Garnett. But Garnett wasn’t temporarily substituted for Messina, he was (intermittently) producing The Wednesday Play, for which The Parachute was commissioned and produced and in which it was later repeated. Why The Parachute’s debut screening was reallocated to Play of the Month is unknown to me. Similarly, A Piece of Resistance had earlier broken in on The Wednesday Play, as had The Order for ‘The Largest Theatre in the World’ project. A Piece of Resistance appears to be one of Messina’s Theatre 625 productions intended for BBC2 relocated to BBC1 – indeed, the Radio Times suggests the Wednesday Play screening was a repeat of a play already seen in Theatre 625 (this was common at the time, probably because not all viewers could receive the new BBC2) but in fact there had been no prior transmission of the play.